Where Can I Spread Bet on the UK 100? Where Can I Access Live UK 100 Prices? Where Can I Get Live UK 100 Charts? Where Can I Practice Trading the UK 100? FinancialSpreads.com offers a wide array of indices such as the UK 100 as well as the Wall Street 30, Germany 30, Japan 225 and US Tech 100. Investors can also speculate on individual UK shares. A FinancialSpreads account provides investors with real time pricing on more than a thousand spread trading and CFD markets such as the UK 100 and a large variety of other indices, shares, commodities and foreign exchange prices. 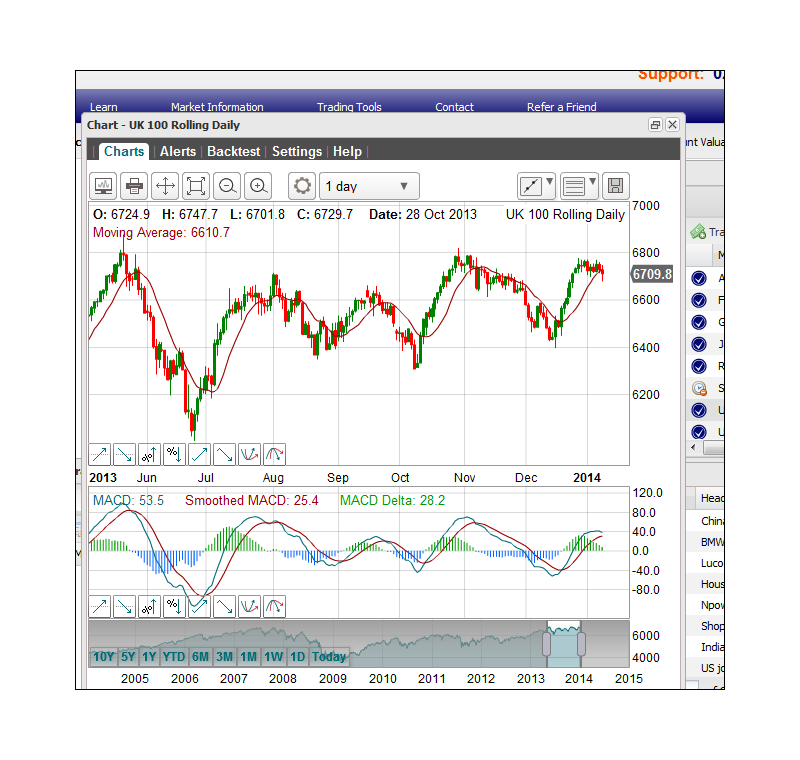 With Financial Spreads clients have access to a real time charting package for the UK 100 and over 1,000 other markets. This is a Rolling spread betting market which means that there is no closing date for this spread bet. If you decide not to close your trade and the trading session ends then your trade will automatically roll over into the next session. If a trade is rolled over then you will normally either have to pay or receive interest for overnight financing based upon whether you are betting on the market to decrease or increase. For additional details also see Rolling Spread Bets. Units Traded: Bets on the UK 100 market are made in £x per point. E.g. if the UK 100 moves 55 points then you would win or lose 55 times your stake. Stake per Unit: You work out how much you are going to trade per point, e.g. £1 per point, £4 per point, £10 per point etc. Quick Example: If, as an example, you went with a stake of £3 per point and the UK 100 moves by 33 points, you would lose / win £3 per point x 33 points = £99. Time to Take Your Profit? You can opt to let your spread bet run or close it and lock in a profit. In this instance you decide to settle your position by selling the market at 7010.5. Time to Limit Your Loss? At this point, you could choose to leave your bet open or close it, i.e. close your trade to limit your losses. For this example, you opt to close your bet and sell at 6912.0. Time to Lock in Your Profit? You could opt to leave your position open or close it, i.e. close your position for a profit. In this instance you opt to close your trade by buying at 6916.8. Close and Limit the Loss? At this point, you can opt to leave your bet open or close it, i.e. close your trade and restrict your losses. For this example, you choose to close your trade and buy the market at 6993.6. 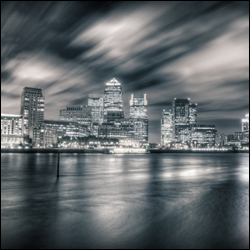 As well as the above 'Rolling' market, we also offer a UK stock index 'Futures' market. On the closing date for this March market, 20 March 2015. This spread bet is a Futures market and so the bet will close on the settlement date. However, usually you can close your position, during market hours, before the expiry date. Also bear in mind that you will not be charged daily financing fees on these futures markets. Trading Units Financial spread bets on the UK 100 futures market are made in £x per point. E.g. if the UK 100 moves by 35 points then you would win/lose 35 times your stake. Stake Size You work out how much you want to risk per point, e.g. £3 per point, £8 per point, £10 per point etc. Quick Staking Example With that in mind, if your stake was £3 per point and the UK 100 changes by 31 points, you would lose or win £3 per point x 31 points = £93. Time to Lock in a Profit? You could choose to keep your position open and let it run to the settlement date or close it in order to lock in your profit. In this example you choose to close your trade and sell at 6998.7. Close and Limit Your Loss? You may choose to keep your trade open, letting it run to the expiry date, or close it, i.e. close your trade to restrict your loss. In this instance, you decide to run your position until expiry. The market then reaches the end of the contract and closes at 6889.3. On the settlement date, 20 March 2015. Lock in Your Profit? You could opt to leave your trade open, and maybe let it run to the settlement date, or close it in order to lock in a profit. For this example, you decide to let your position run until expiry. Ultimately, the market settles at 6868.7. Time to Restrict Your Loss? At this point, you may choose to leave your trade open, letting it run to the expiry date, or close it, i.e. close your spread bet and restrict your loss. For this example, you choose to close your position and buy the market at 6999.8. Where Can I Practice Financial Spread Betting on the UK 100? Financial Spreads provide a free Demo Account that allows investors to try out new trading strategies, practice with new trading orders, analyse the live charts and practice trading on markets including the UK 100. The Financial Spreads Demo Account doesn't just cover a handful of markets; traders are also able to gain experience on a large variety of FX rates, stocks and shares, commodities and stock market indices. There have been 21 gains out of 28 for the UK index, a record only surpassed by the month of December. Of course, December is the most bullish month of all as investors ride the Christmas rally higher almost every year.